We have been providing excellent septic services to Central Florida since 2002. Clark Septic remains the same great family-owned septic business you and your family have depended on for years. We still believe if you have a mess, we’re the best! We offer not only an array of septic services, but also a friendly face and a quick solution. 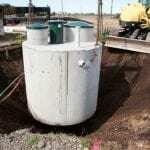 We handle all septic services, from septic tank installation to septic tank cleaning and repair. We are happy to help with all septic maintenance needs to ensure your system is always working as it should. 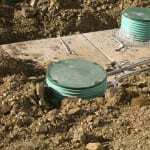 Our qualified technicians can help with all your septic tank needs, from drain field repair & septic tank installation to septic tank pumping and maintenance. Complete customer satisfaction is our #1goal, and we work hard to provide you with the best possible service. Don’t settle for a company you can’t trust; choose us instead. We have an A+ rating with the Better Business Bureau because we put our customers first. We are also proud members of the Florida Onsite Wastewater Association. Here at Clark Septic, we use products made in the U.S.A. We have an excellent reputation in Central Florida with many satisfied customers. We care about each of our neighbors here in the Orlando, FL, area, and we take pride in all our septic services. Contact us today for a free quote—we are open 24 hours a day, Monday through Friday, and offer Saturday appointments, as well. We serve Central Florida, including Orlando, Winter Park, Ocoee, Altamonte Springs & surrounding areas.